Dr. Brian J Bixler, MD is a Doctor primarily located in Spring Hill, FL, with another office in Spring Hill, FL. He has 19 years of experience. His specialties include Family Medicine. He speaks English. Dr. Bixler has received 2 awards. The overall average patient rating of Dr. Brian J Bixler is Great. Dr. Brian J Bixler has been rated by 22 patients. From those 22 patients 8 of those left a comment along with their rating. The overall rating for Dr. Brian J Bixler is 4.0 of 5.0 stars. we have found a very good doctor finally.the doctor,and his staff are caring,and do a great job.they and the doctor are very thorough.my wife and I have been impressed. I called an requested an appointment and was told sorry you can't see the doctor this week because he's on call. I aggravated an arthritic neck and needed medical treatment asap. I can't get an appointment. I requested one two weeks ago and they just refuse to schedule anything. Instead they made a appointment with a pain management with a doctor that is not a spine specialist. Just another pill pusher and under investigation. I was only on two medications when I started seeing Dr. Bixler, now I'm on 8 pills. Feeling worse than I've felt in years. Find someone else. My experience was great with Dr. Bixler. I have not had any problems as yet. I did with another Dr. and that is why I see Dr. Bixler now. Bedside manner seems great, I have gotten an appointment the next day, 5-10 minute wait in office before being seen, Listens to what I have to say. I have recommended him to friends and family. Recent episode involving office manager has left me wondering if I have the right doctor. I think Dr. Bixler is outstanding.Went for a scheduled appt. with another Dr.The person in that office sent two requests for a referral.Got nothing.She showed me the papers with two dates when she sent it.We could not be seen by the doctor. We went back to Dr. Bixler's office and was told they hadn't gotten them. She called said we were lied to.I don't believe that. I have had a similar experience in the past. She then said she would have sent the form,but didn't like the way she was talked to.I was standing next to this person when she made the telephone inquiry to Dr Bixler's office. She was not rude in any way. It is my opinion that she was being spiteful which affected the patient. Too bad. Great Dr. but poor staff. Dr. Brian Bixler is definitely fixed on the needs of his patients. He is a courteous, kind, knowledgeable and capable physician, with his interest firmly set on the well being of those in his care. The office staff at his practice is capable and friendly. I would recommend Dr. Bixler to anyone seeking medical care. 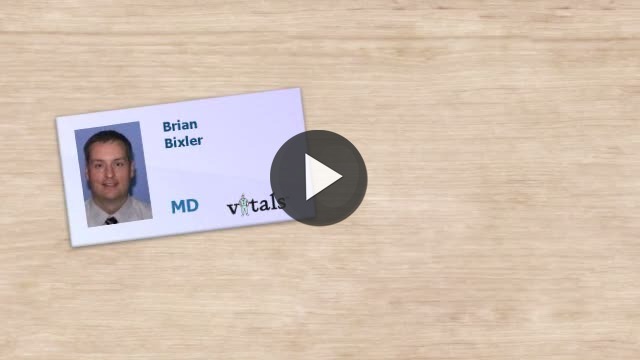 Take a minute to learn about Dr. Brian J Bixler, MD - Family Medicine in Spring Hill, FL, in this video. Dr. Brian J Bixler is similar to the following 4 Doctors near Spring Hill, FL. Have you had a recent visit with Dr. Brian J Bixler? Select a star to let us know how it was.